There are various prosthetic fitting options after a transfemoral amputation. Users who choose a passive vacuum system require a closure valve to ensure that the residual limb is firmly and comfortably seated in the prosthetic socket. Our innovative ClickValve valve closure system offers a number of benefits for users. Compared to classic flat and threaded valves, the threadless design of the ClickValve not only makes opening and closing easier but also prevents hair on the residual limb from getting caught. Furthermore, the conical shape makes insertion into the lower valve part simple. The audible click indicating proper valve placement is a special benefit. 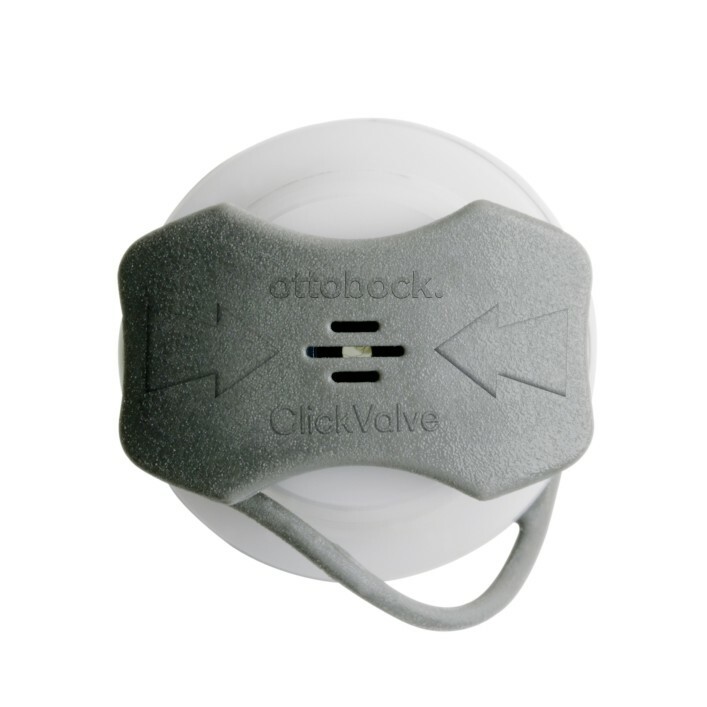 The ClickValve also has a safety device that prevents the upper valve part from getting lost. Your orthopaedic technician will be happy to provide you with further information regarding your personal requirements and the use of the ClickValve.